Well, there have been many occasions in the last 19 months that I have intended to begin posting again, but there's been such a barrier to breaking the ice. It's hard to put into words what I have been through since I last posted so I will just stick with the basics. I had been back home for a month or two from my trip to the USA when Kevin, my dear husband of 26 years, died suddenly of a massive heart attack. Seven weeks later my lovely dad passed away after a very traumatic two years of suffering with pain and dementia. My daughters and I have been wonderfully supported by family and friends and we've navigated our way through this new reality as well as anyone could hope for in the situation. We are so lucky to have such amazing people in our lives to help us through the difficult times. I haven't spent a great deal of time on creative pursuits since August 2016 but I have done a few things here and there. 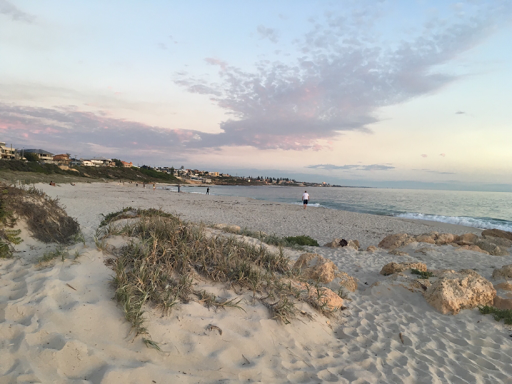 One being to do my very first plein air painting with acrylics while on one of my visits with friends at their holiday place in Yallingup, three hours south of Perth. They have the most beautiful bush outlook which is frequently dotted with mobs of kangaroos. I don't usually use protective clothing when I paint but I have chosen one of Kevin's shirts as my art smock. I painted mainly with a small palette knife. I hope to get more prolific again with my creative exploits as it's great for the soul. I have been back in Australia for nearly two weeks now since my five fabulous weeks in the USA. While away I was so busy squeezing every minute dry that blogging about it fell by the wayside. Also, I was having trouble with my blogger app! So now that I've got myself back into some sort of routine I will resume where I left off - and fill in some of the blanks. I have more to post about New York but I will leap ahead to Boston as I don't want another day to pass before I write about my very enjoyable day meeting up with Michael Perchard. Michael and I have followed each other's blogs for several years now and I always love his very enthusiastic comments and his overriding joy for life. 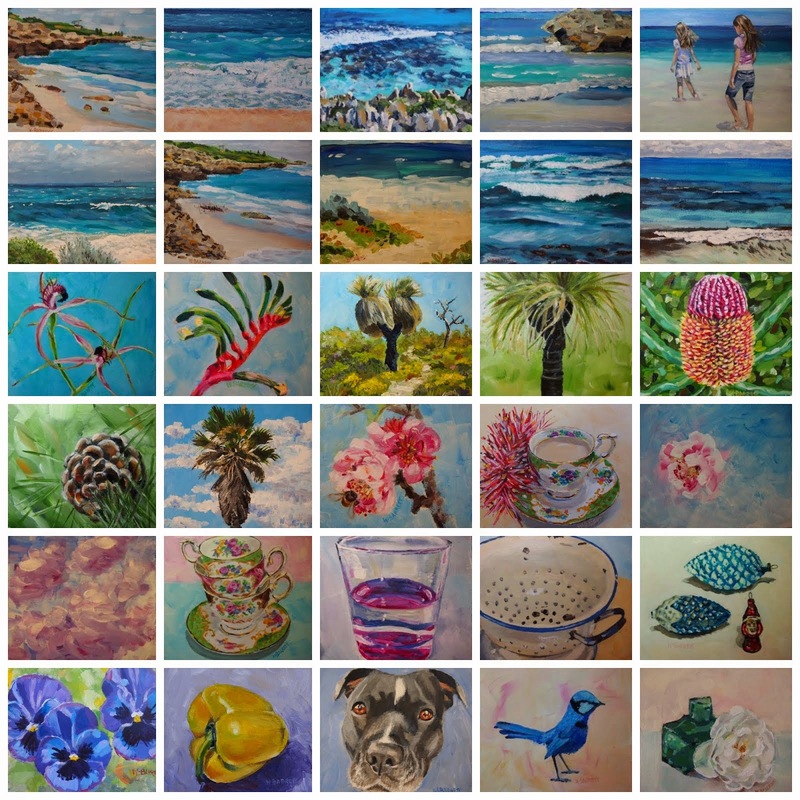 He has a wonderfully dynamic painting style and also posts great photos of his local area. Over the last few years he's posted quite a few photos of the beautiful statue "Appeal to the Great Spirit" that stands at the front of the Boston Museum of Fine Arts, I have loved it ever since I saw the first photo he posted, so it was because of the statue that we decided on the Museum of Fine Arts as a good place to meet up. We exchanged gifts and Michael came up with probably the most unique gift I have ever received. He said he needed to drive in to meet me, rather than take the train, in order to convey one of the gifts he had for me. I thought that sounded a bit ominous as I wouldn't have a car to take it back to Australia in! But I needn't have worried as it was a short lived gift albeit a very special one. He had thought ahead and in the last snowfall had made a snowball for me and kept it in the freezer until we met up. He had an Esky (cooler) in his boot (trunk) and I was tickled pink when I unwrapped the parcel inside! A real live snowball! What a great idea for a gift for someone who has only seen snow on a couple of occasions in her entire life. Michael also gave me a painting that he has done of "Appeal to the Great Spirit" which I will absolutely treasure! We had a lovely day together chatting and admiring all the beautiful art. It was a nice surprise to happen upon the one below. There was a print of this very painting on the wall of my hotel room so it was a treat to see the real thing. The unfinished painting above apparently was the inspiration for the one dollar note. We had such a great day. Michael is such a sweet and unique character. It is so much fun - and quite surreal to be able to meet up with people in the flesh after getting to know them online. Unfortunately, Michael's wife wasn't well enough to join us on the day as planned. A good excuse for me to return to Boston - to be able to meet up with her next time. I was staying in a very characterful part of Boston - Beacon Hill - which is a shortish walk away from Boston Common. I had walked through the Common a couple of times and one day in the distance I noticed a swathe of colour that hadn't been there before. I wondered if there had been a huge planting of flowers since my last visit so I decided to walk over to investigate. It turned out to be a very striking display of flags to commemorate Memorial Day which was several days away. 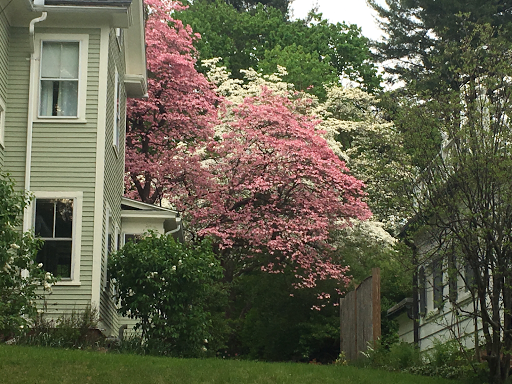 I am now in Boston having spent five nights in a gorgeous town with friends in rural Massachusetts. 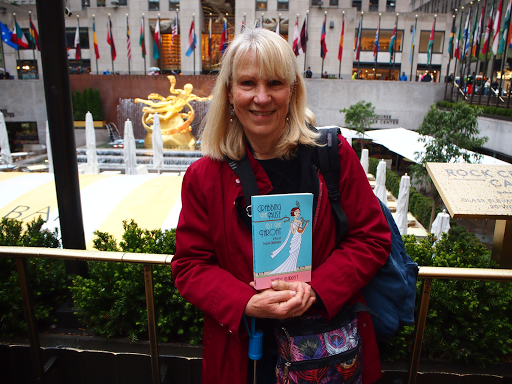 New York was so exciting and I had a fabulous time there, but after two weeks I was ready for the countryside. 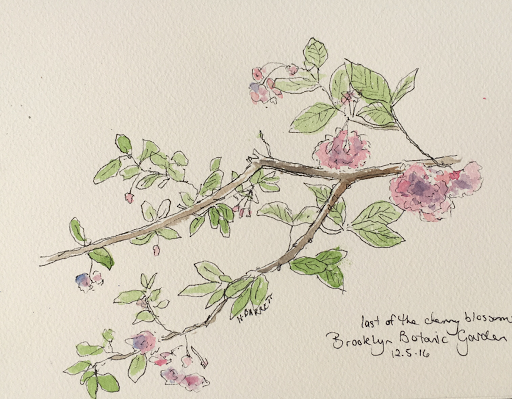 I'd had a few days where I was able to get a fix of greenery while in the city - one day I braved the subway and took a train to the Brooklyn Botanic Gardens where I'd been able to get a breath of fresh air by surrounding myself in flowers. 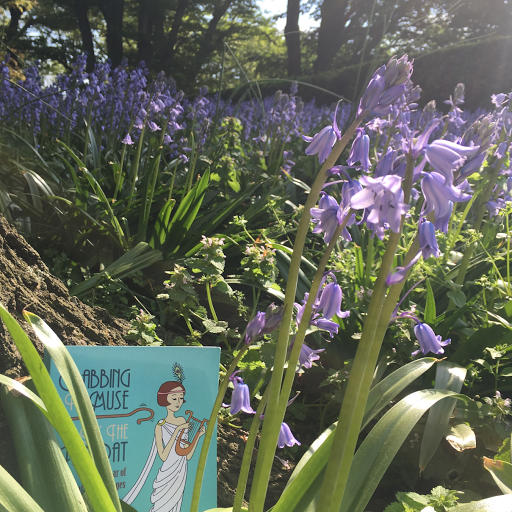 My book enjoyed frolicking amongst the bluebells. 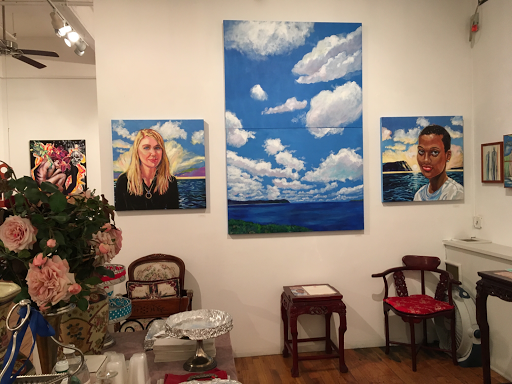 I spent my last evening in New York with the wonderful artist Barbara Muir and her husband Steven. It was so lucky that our time overlapped there, and by just one afternoon! They had arrived in town that day for the opening night of her exhibition at the Amsterdam Whitney Gallery. I had trotted down there earlier in the day to see her lovely work in the flesh. I've only done one sketch since New York. Unfortunately, I came down quite sick with a sinus infection a week or so ago and I'm yet to fully recover. However, other than one day spent in bed I have still been getting out and about and enjoying myself. 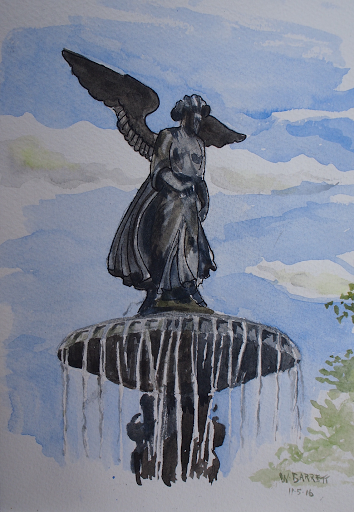 I'm really enjoying Boston and will post soon about my adventures here - which include meeting up with another art blogger - the very entertaining Michael Perchard. 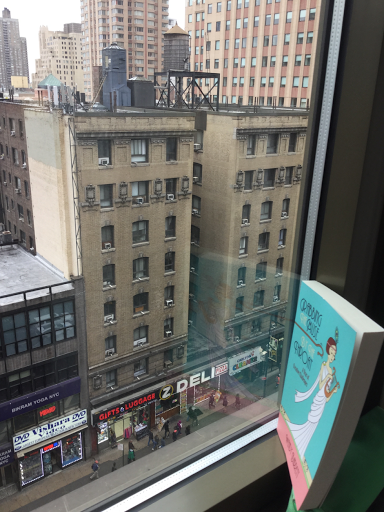 I'm taking things a bit easier this morning on my last day in New York as I've run myself ragged trying to soak everything up. But what a fabulous time I've been having! 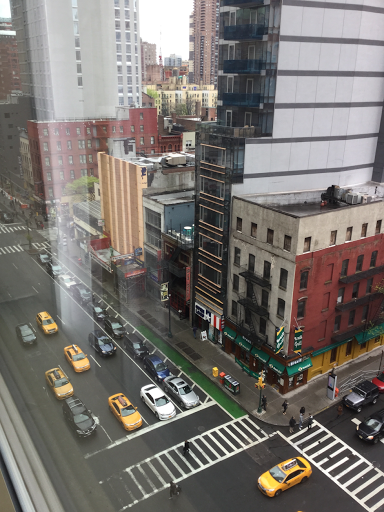 The city has such a great vibe and the people are very friendly, and I love the Noo Yawk accent! I think I will have to save posting most of my photos for when I get back to Australia where I can easily reduce them and have proper access to the blogger tools - unlike with this iPad app. I met up with Joan Tavolott on two more occasions. 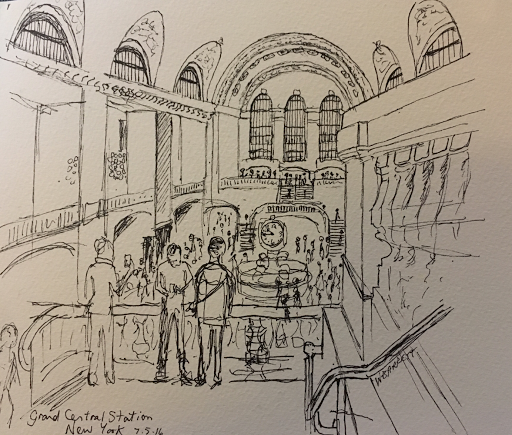 One day I joined her along with a small group of New York Urban Sketchers at Grand Central Station. We spent hours there and met up for lunch between sketches. What a gobsmacking building it is. It is so exciting visiting these iconic places. My sister has a stunning black and white photo of it on her wall. Taken in the 1930s, it shows the sun streaming in through the high windows. I doubt that view would be possible now due to it being surrounded by taller buildings. But the sun wasn't shining that day so I wouldn't know for sure. 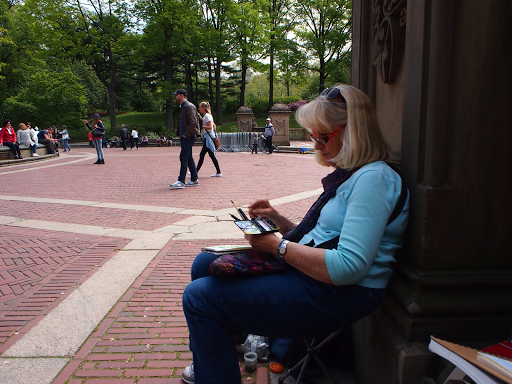 Another day I joined Joan and the Urban Sketchers at the beautiful Bethesda Fountain in Central Park. 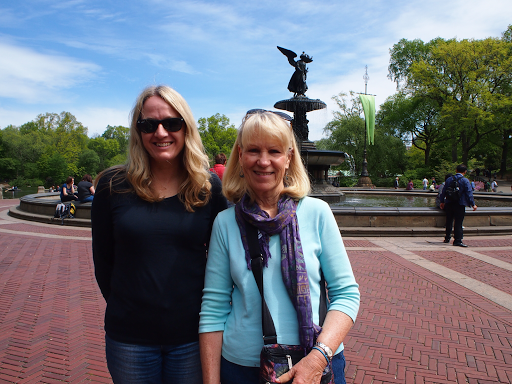 Joan and I in front of the fountain - and Joan below creating one of her many masterpieces. 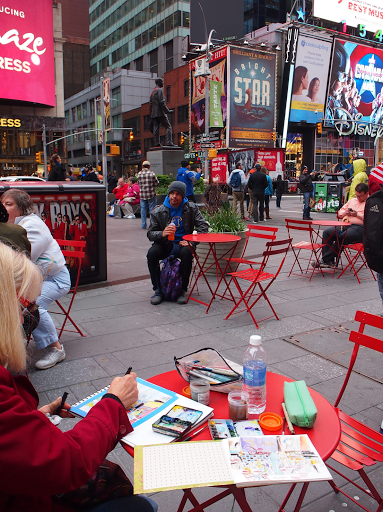 It was so special meeting up with Joan and the other sketchers. 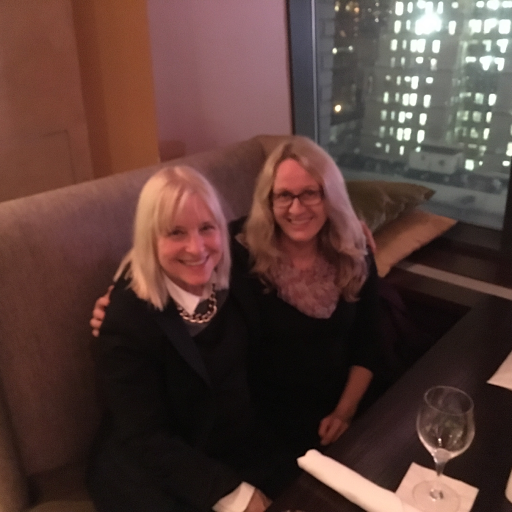 I really appreciated Joan travelling in from Long Island to meet up with me. I will post more from New York soon, in the meantime my next stop will be a small town in Massachusetts to visit friends. 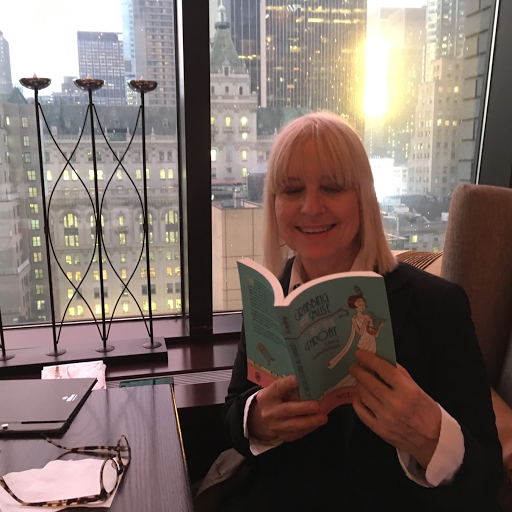 I'm having such a great time here in New York and there have been many highlights. One highlight has been meeting up with Joan Tavolott. We have followed each other's blogs for a couple of years now. 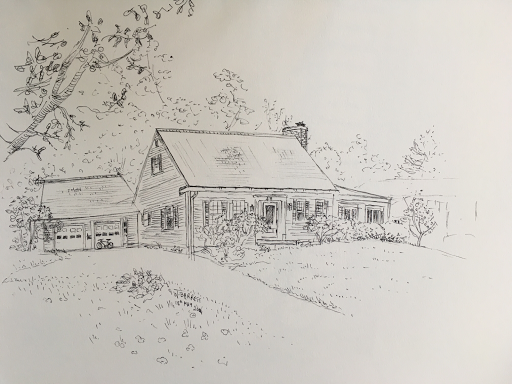 In fact, it was Joan's prolific sketching exploits that first inspired me to begin sketching on location when I went to the UK in 2014. So it was a real treat to get the opportunity to meet Joan in person and to sketch together. 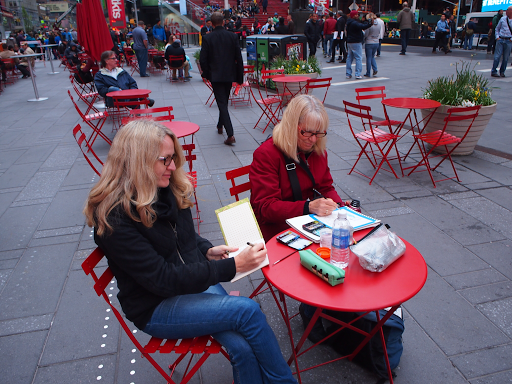 We found a spot to sit in the heart of Times Square. It was so much fun, even though I was turning into an ice block as time wore on. My fingers were numb! No wonder, as the forecast maximum for the day was13C!!! Afterwards we found a cosy diner where we warmed up over lunch and a long chat. Then we walked several blocks to MOMA where we enjoyed viewing a very extensive collection of works by Degas. We also had a look through the regular exhibits and I was thrilled to stumble upon Van Gogh's Starry Night. Only the day before, I had come across my very favourite Van Gogh painting at the MET - Cypresses in Wheatfields. I had hoped to be posting more regularly but I'm finding the blogging app I've bought isn't working properly - or I'm not working IT properly. I'm not able to reduce the size of more than one or two of the photos I post. 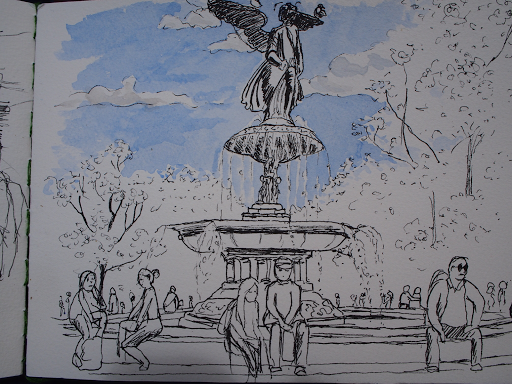 I did another sketch today and I will be joining Joan and the other NYC Urban Sketchers tomorrow. 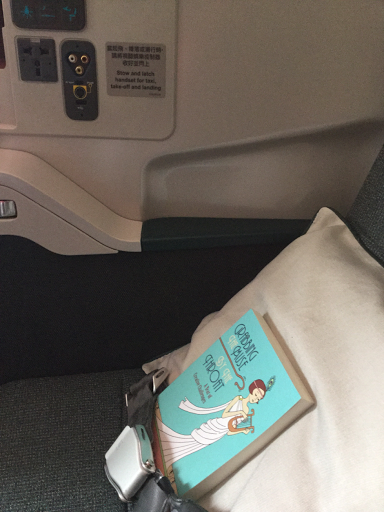 The second leg of the flight went well and we arrived in New York on Sunday afternoon. Despite the tiredness I was Sooo excited to have arrived at last. 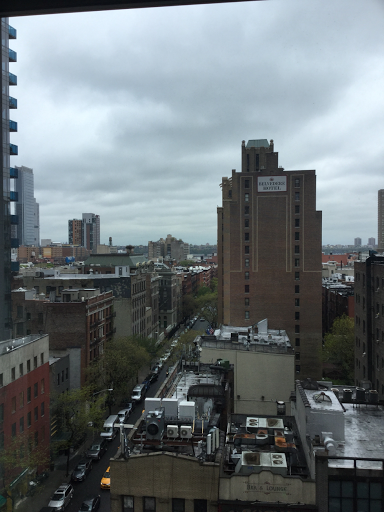 We settled into our hotel and we're excited to have such a classic New York outlook. Have been having a great time despite the freezing temps and rain. It is living up to all my expectations. I have a ton of photos to post but haven't had much time for posting. 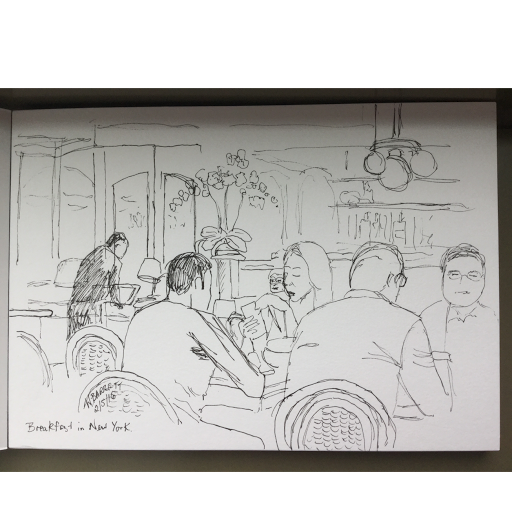 however, I just took a photo of this sketch I did at breakfast this morning. Haven't sketched for ages and thought I'd better limber up ready for tomorrow. A big treat coming up!! Please excuse the bad set up of these posts. I'm finding the app for using the iPad to be pretty cumbersome. 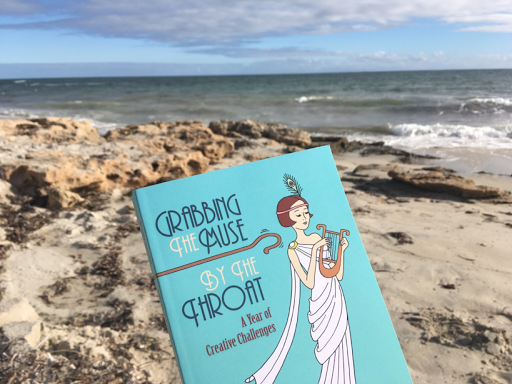 With mere hours remaining before we were due to leave for the airport, my book and I went for one last walk along the beach before setting off on our grand adventure to the USA. It was a tad chilly down there with autumn upon us but nowhere near as cold as what we could expect to experience on our arrival into New York City. 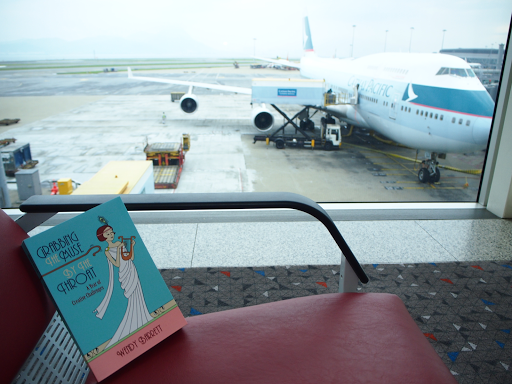 We departed Perth at around midnight and arrived in Hong Kong 7 hours and twenty minutes later. 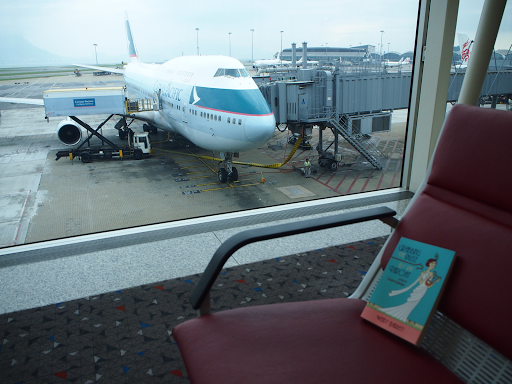 We got several days worth of exercise traversing the miles between departure gates before we found the lounge. We'd needed to stop for a breather on the way and got a nice view of the planes on the Tarmac. 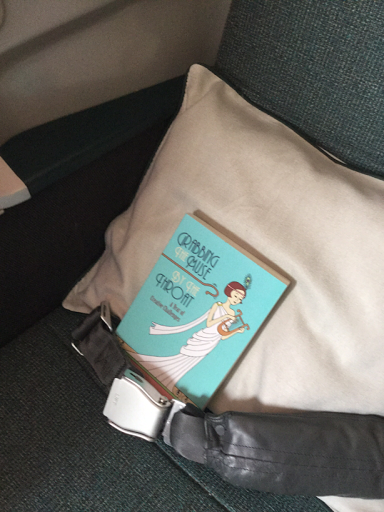 Our connecting flight to New York has been delayed by a couple of hours so thankfully we have a comfortable place to cool our heels. This will be my first ever trip to the USA and I couldn't be more excited! I hope to do a lot of sketching while away, so stay tuned! 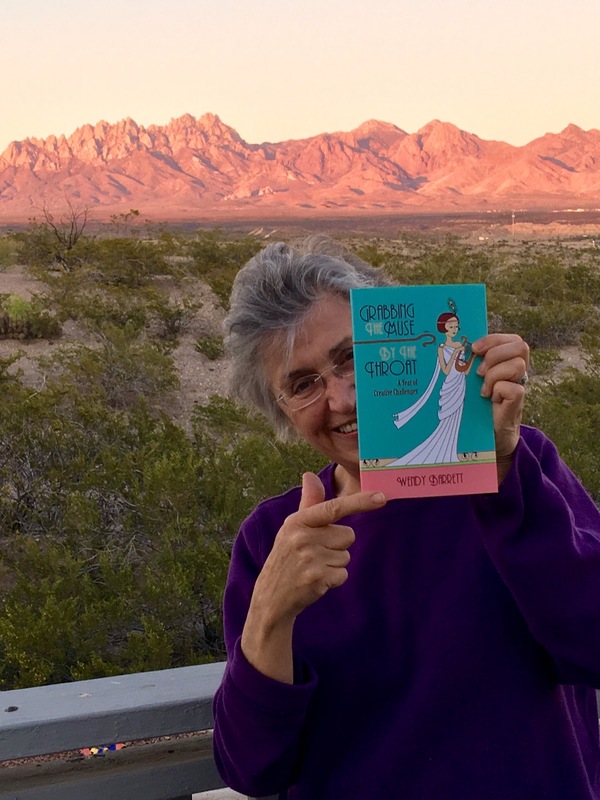 I was thrilled when Julie Ford Oliver sent me this fabulous photo of herself with my book - which she is half-way through reading. She has the Organ Mountains, New Mexico behind her in the background. What a stunning landscape - it reminds me very much of Australia's beautiful red centre! 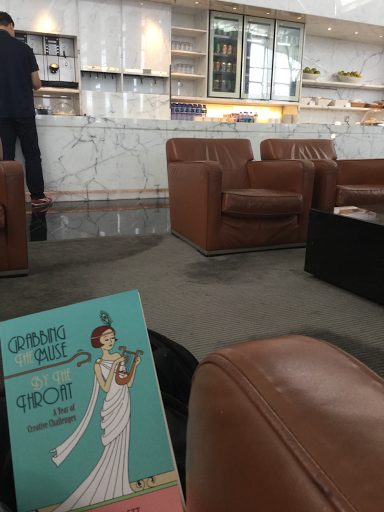 It's so exciting for me to see my book finding its way to different parts of the world. Thanks Julie! Julie is an amazing artist who is an ongoing inspiration to me. Her artwork is very original and dynamic and she makes even the trickiest subjects look easy. She is very supportive and generous to other artists and shares many insights into her artistic life on her blog - which you can visit here, and you can visit her website by clicking here. I haven't done much of my own art since the 30 day challenge in January but I have been enjoying other people's art and getting out and about. This has ranged from an artist's studio crawl in my local vicinity to public works of art in the city. I've visited the city a few times lately to celebrate our wedding anniversary, see some stand-up comedy and visit a wonderful exhibition currently showing at the museum - History of the World in 100 Objects, courtesy of the British Museum no less. I have been most remiss in keeping up with all my favourite blogs as well as posting on my own. I confess that the beach has been quite a distraction amongst other things. Most days I either walk or swim at the beach, more walking lately as autumn is upon us. I'm hoping to become more regular with my blogging again. In the meantime, here are some photos I've taken over the last couple of months. View of the beautiful Swan River from our hotel room at the Duxton Hotel. I'm now the proud owner of a Julie Sylvester original! Some of the fascinating items displayed in the "History of the World in 100 Objects" on exhibition at the Perth Museum. I happened upon a mural being painted at a beach car park by Amok Island. Can't live without my regular visits to the beach! Welcome to my blog! This blog originally began as a vehicle to show the progress I was making with my weekly acrylic paintings. I am also a writer and find it a challenge trying to attend equally to the passion I feel for both art and words. 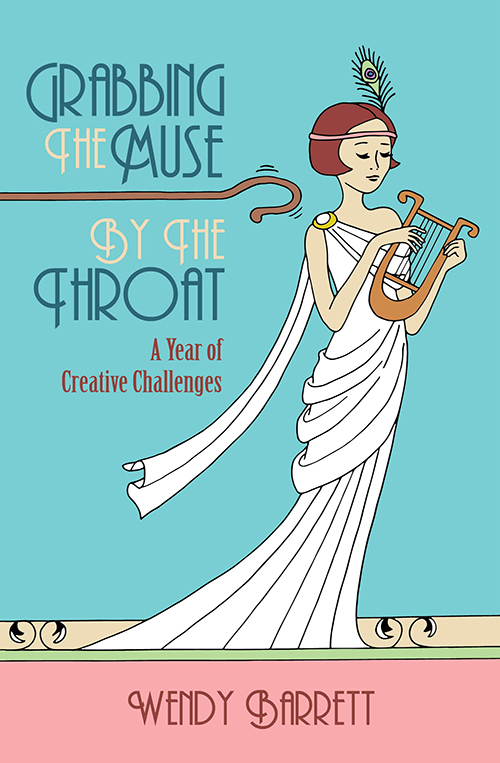 In the process, this blog has since broadened to include all things creative and joyful in my life. I have written and illustrated a series of five children's books based on a program created by Professor Michael Bernard called "You Can Do It! Education." 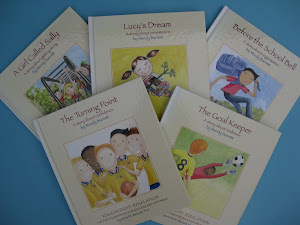 To order copies please click on the picture and scroll down to the second page under "Books" where you will find my five titles - Lucy's Dream, The Goal Keeper, A Girl Called Sally, The Turning Point and Before the School Bell.